The FBN℠ network provides farmers with independent and unbiased real-world data to make better seed decisions. 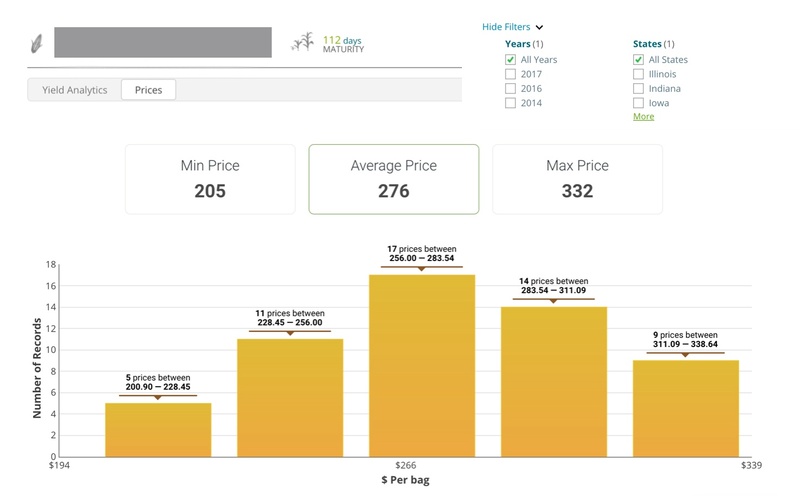 Before you buy seed this year, supercharge your seed selection, placement, and population with the full power of FBN seed analytics! Our seed price, yield performance, and genetic identity data is backed by over 22 million acres of farms growing dozens of crops. Are traits worth it? 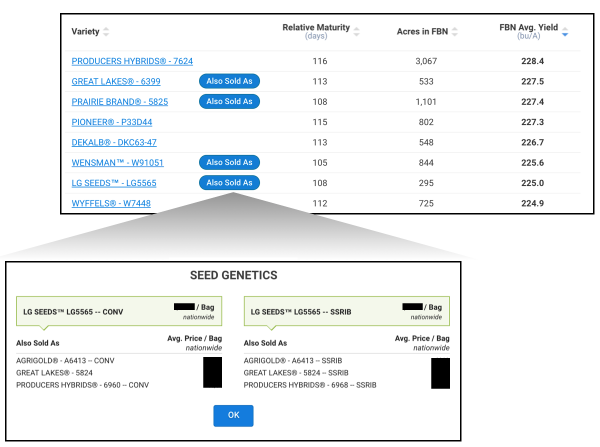 All seeds in FBN Seed Finder are now broken out by each genetic trait variant, with detailed pricing and performance profiles. Searching is also easy, just select the target trait and search results will automatically filter. FBN Seed Price Transparency - Are You getting a Good Deal? Negotiate with confidence. Arm yourself with data on seed prices being paid by real farmers. Filter by year or state. Get the Seed Price Report. Seed Relabeling - Are Your Seeds Available For Less? Did you know we've found the same seed variety being sold by as many as 12 brands, often for completely different prices? FBN Members who send in seed tags can see which seeds have matching Variety ID's, for over 1,000 seeds! Get the Seed Relabeling Report. 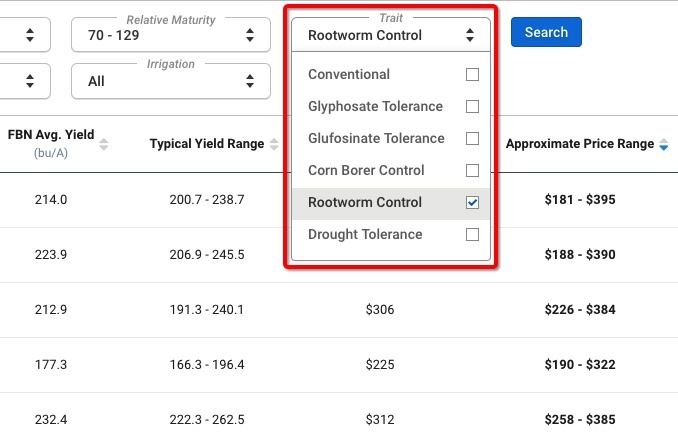 With FBN Yield Potential you can see how specific seed varieties are likely to perform on your fields based on each field's soils, rotation, weather, irrigation and drainage. Watch a short video. 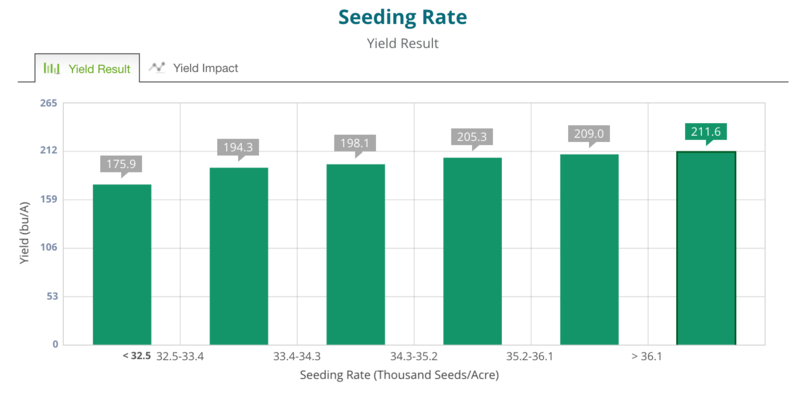 With FBN Seed Performance Profiles you can examine how specific seed varieties respond to different planting practices such as population rates. Learn more.